Reveal makes award-winning smart, efficient and secure body-worn video systems that transform the jobs of frontline workers. Our products operate in situations of heightened tension, danger, fear, anger… situations that for some people are all in a day’s work. We provide reassurance, confidence and support for those people. We make their job better. And by giving them the tools they need and want, we help them do a better job. For nearly a decade we have designed and built world-leading body worn video systems; in close partnership with the frontline workers who use them. We understand that frontline workers want to capture and share evidence from their perspective. We understand how our technology reduces crime and saves time and money. We understand how our products transform the jobs of frontline workers. 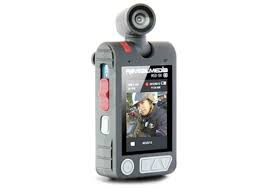 We focus on working with our clients to ensure that body worn video works for them. We encourage – and help with – careful project planning, monitoring and measurement. We work hard to maintain on – going relationships with clients, ensuring that they get the maximum benefit from their investment in body worn video. Alongside our own development programme, we regularly seek user feedback, and incorporate user requests we receive in regular updates to our digital evidence management system, DEMS (at no cost to users), and into our design planning for our cameras. In 2013 – 14, for example, we added over 30 features to DEMS as a direct response to requests from customers. Over the past decade, we have developed our products in close partnership with the people who use them. We invest time and effort into achieving an unparalleled understanding of how body worn video is used in the field. This understanding is built into our product design. 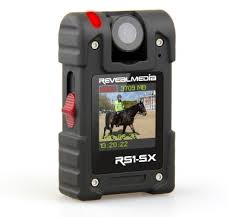 This means we are the only body worn video supplier in the world who offer the benefits of an articulated camera head, one action record and front facing screen on all our body cameras.